For most people the idea of looking your best for summer or on your wedding day means hitting the gym, for others it means being yelled at by an exercise drill sergeant, but we believe that in order to look your absolute best you first have to feel your best. That means finding something you works for YOU. Looking your best doesn’t necessarily mean working out. There are many SMALL and EASY changes you can make to your daily routine to help you feel you’re very best. If you are someone who craves to FEEL THE BURN, but doesn’t crave the price of a gym membership there are very simple home work outs that you can do. Most of which don’t require you use any equipment. Looking up yoga moves, or watching online tutorials can help you create a CUSTOM WORKOUT. For those of you who are really busy and don’t have a lot of free time try doing a short quick workout. Most take about 5-7 minutes and cover the basics like abs, legs, arms and a little cardio. Others can be more specific and help you with any trouble areas you might want to work on. Exercising isn’t the only way you can make yourself feel your best. Just making simple changes to your everyday routine can boost your energy and help you stay healthier. Packing your lunch not only helps you save money but can also help you stay healthier and avoid eating fast food. Look for easy quick healthy recipes, like yogurt chips, or substitutions that can be made to your favorite baked goods. You can still even have a drink and be healthier! Try replacing dark alcohol for lighter, instead of drinking sugary soda try and drink sparkling water with fruit. Or ask if they have any fresh squeezed juice. Try greek yogurt as a substitution for sour cream, cream, and milk products for half the calories and twice the protein! Don’t try and cut out all your bad habits, feel free to treat yourself every now and then and no that doesn’t mean a whole carton of BEN AND JERRIES. For your everyday cravings try to substute for a healtier alternative. Having a craving may also be a way for your body to tell you it is missing out on a very important element. Some of your everyday household kitchen ingredients can turn into a homemade FACIAL. All natural and cheaper than going to a spa! Just remember not every workout or recipe is meant for you. Do what works for you and stay consistent in your routine. Find what motivates you, whether it be doing them with your fiancé or a friend. Looking at a picture of your bikini or wedding gown you want to fit in, or posting motivational workout quotes to your Pinterest board. Have fun with it and stay strong. YOU GOT THIS!! Back in the day, cake toppers consisted of a bride and groom atop a cake, looking stagnant with she in her standard white gown, and he in the classic black suit. For a little while there, the decoration all but disappeared, but now this garnish has made a wonderfully artistic and delightful comeback. Gone are the days are standard one-size-fits-all toppers, these additions to your cakes will add flare and panache to your confection. Quirky, unique, and often custom to you as a couple; Essence of Events absolutely as a few of our favorites. Take a peek at what we’re oodle-ing at today and see what inspires you and what could add to your already delectable cake! 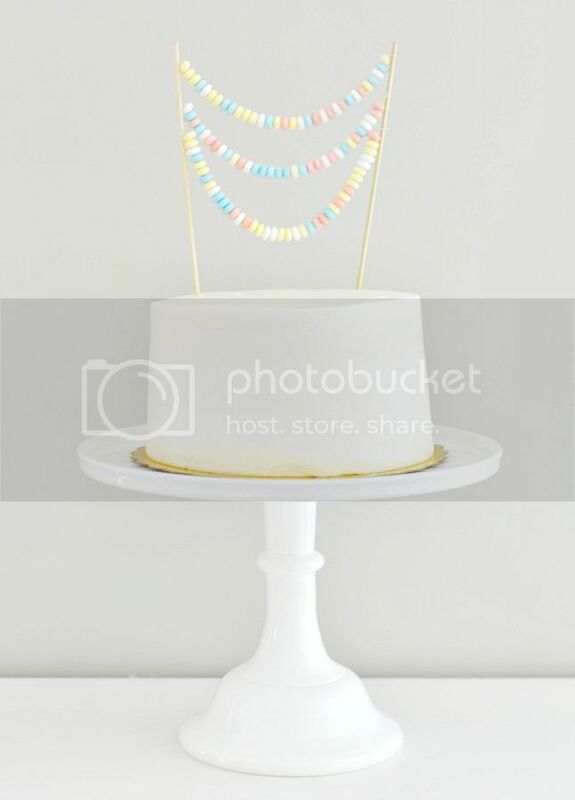 A take on the classic banner; why not try a candy necklace for a DIY and fun approach? 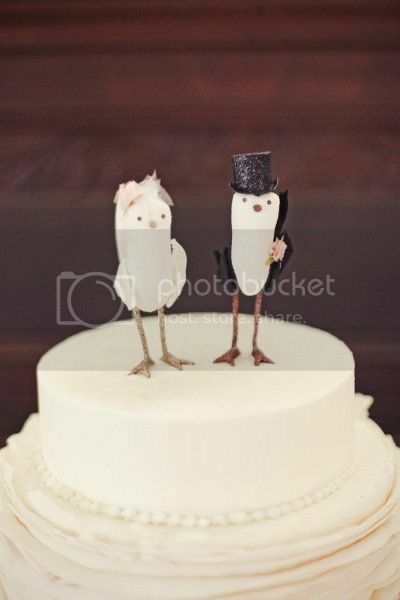 These cute birds are a fun way to add humor to your cake. Keep these critters long after you slice the cake as a keepsake. 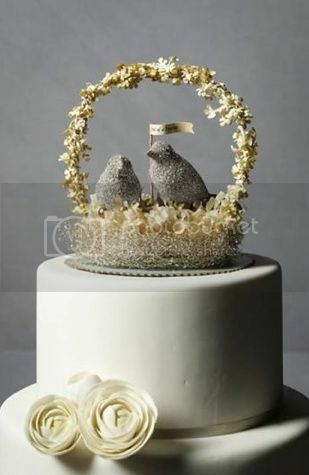 Have your cake designer make the toppers in your favorite animals and try “his and hers” favorites for an even more personal touch. 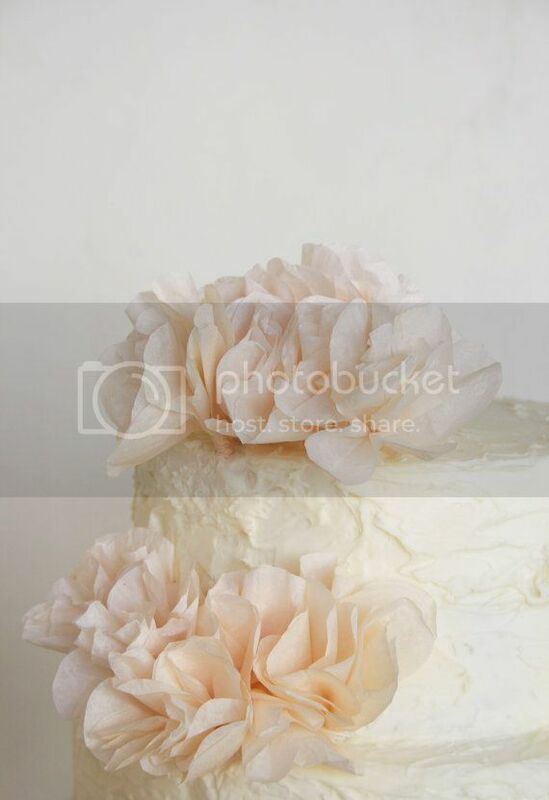 Though not technically a topper, an oversized flower adorning your cake adds fun to an otherwise plain cake. 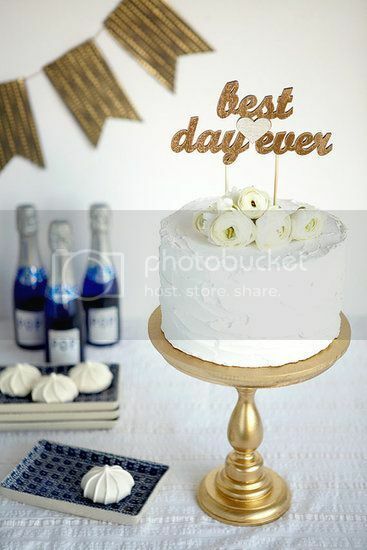 Sayings, quotes, and idioms topping your layers are great DIY projects too if you just want to cut out card, dip in glitter, and attach to poles. 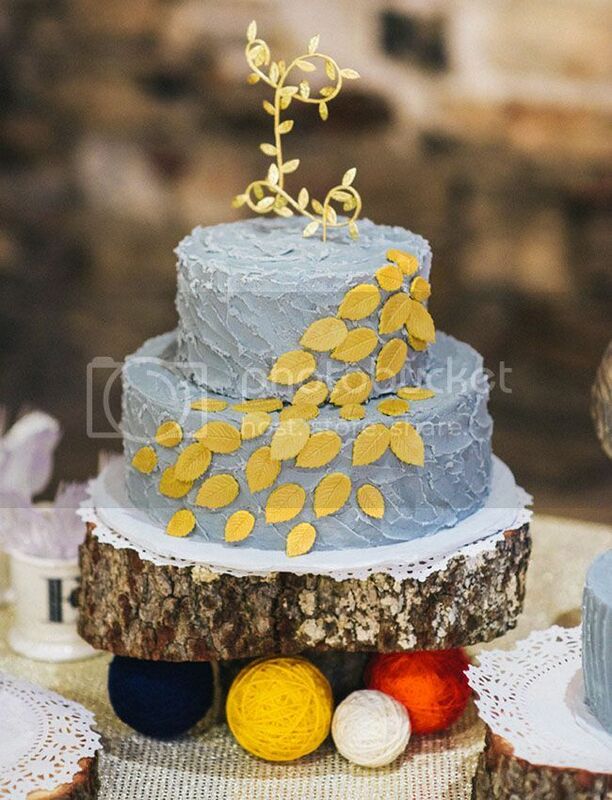 Try adding your initials to your cake. Banners are wonderful and on-trend right now. 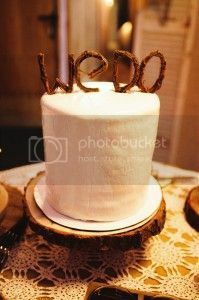 This topper made from twigs has a rustic-chic vibe. 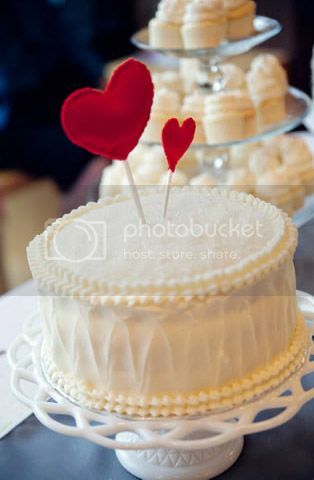 Hand-stitched hearts add a quirky element to a cake. 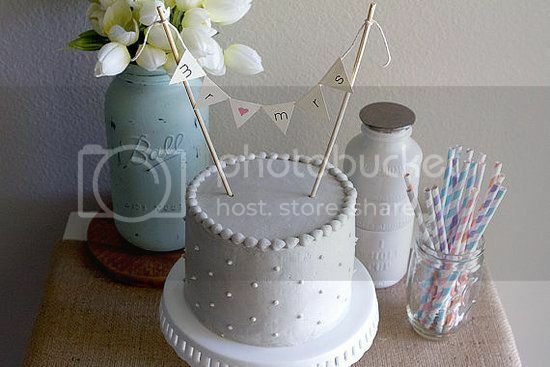 Bent metal is popular for toppers, as well as in other areas of wedding décor too. 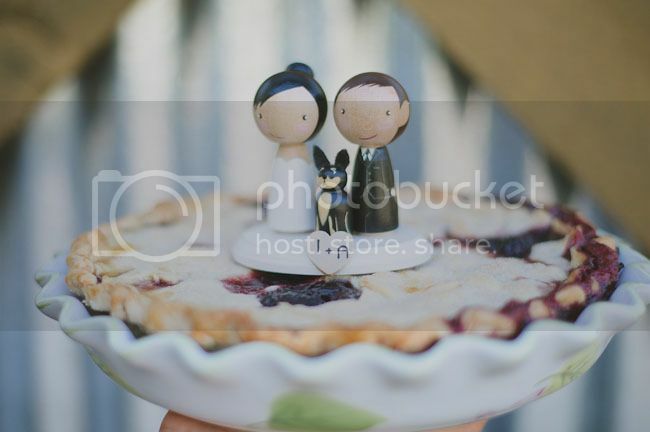 Though not a cake, the topper is adorable, with bespoke characters, including the couple’s dog. 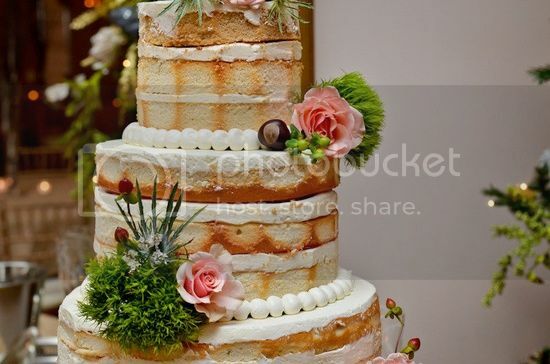 For recommendations of vendors who can help you create the perfect cake and topper, as well as complete wedding and event planning, advice, and help, be sure to contact Essence of Events today. 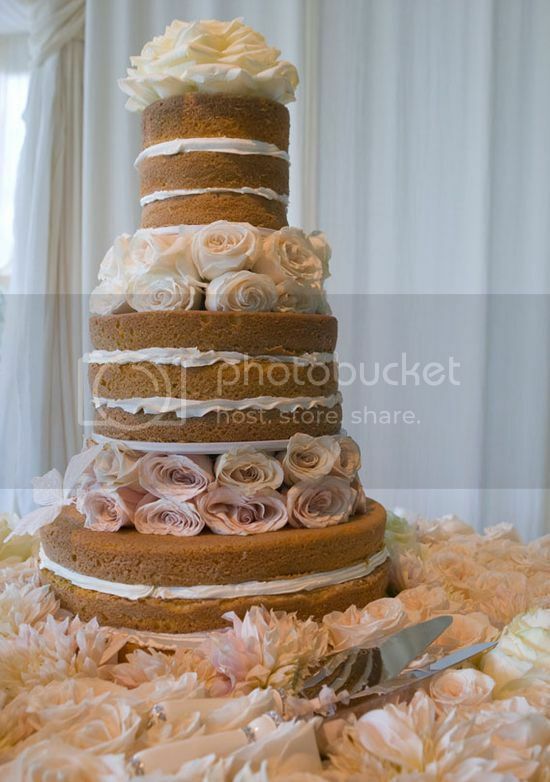 If you’re like us at Essence of Events, LLC, you love cake! Every yummy, scrumpcious, delicious piece of the sweet confection, but actually if you’re like us, there is a downside of cake too, and that is the frosting. Especially if it isn’t made with proper butter and cake get into a sticky conglomerate of nasty ick. 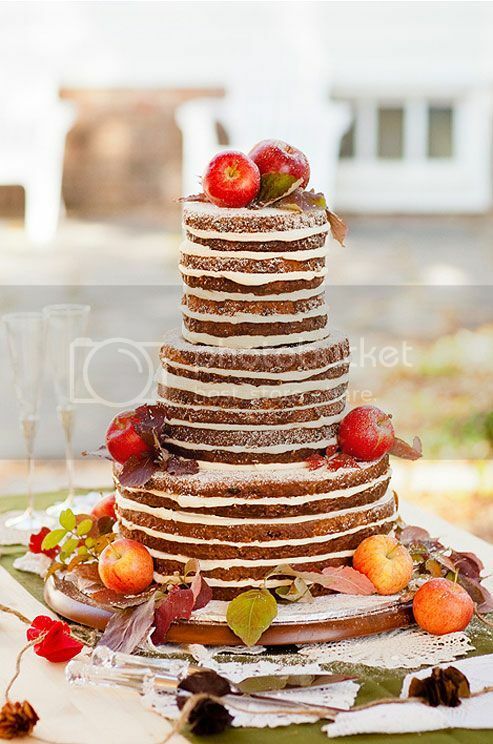 Hence, my friends, the latest and greatest trend in wedding food and luxury cake and taste making; the frostless wedding cake! It isn’t as dull as it sounds. 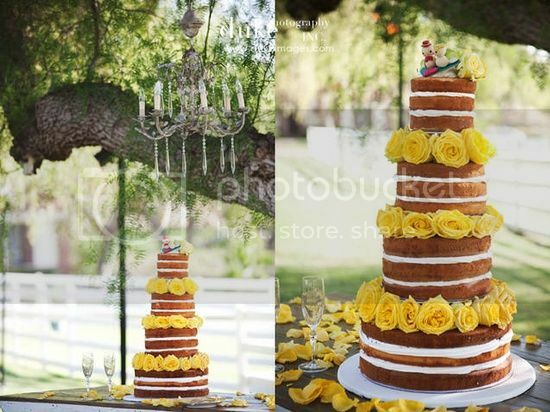 These cakes have a certain rustic and bohemian appeal to them. Stripping down to the basic layers, but still including a touch of icing to add a bit of texture and flavor; it’s almost the perfect cake! 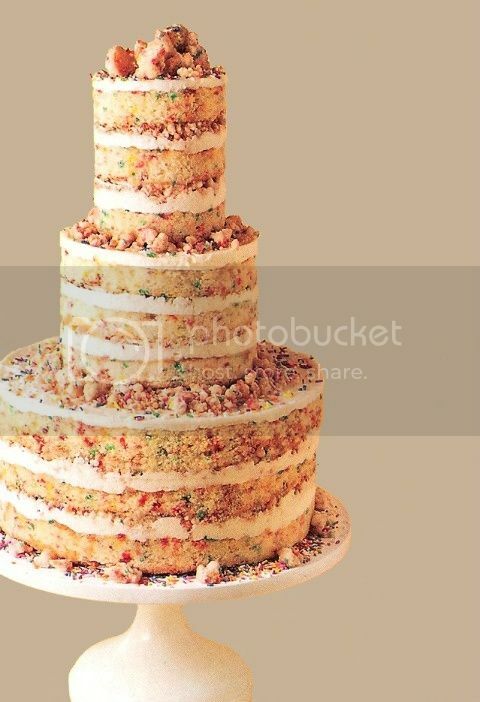 Showcasing the confetti layers inside the cake; this is a perfect example of why having a frostless wedding cake will display why it’s what is on the inside that counts! Most guests end up scraping off the frosting anyway, why not save them the hassle and just present them with a stunning cake like this? You can still get the design you want and the anti-icing you desire when you combine elements like these together. Many couples will choose to soak their layers of sponge in a liquor to add another flavor to their cake and use cream instead of frosting. Just another option to consider when choosing and tasting all the delicious options out there. 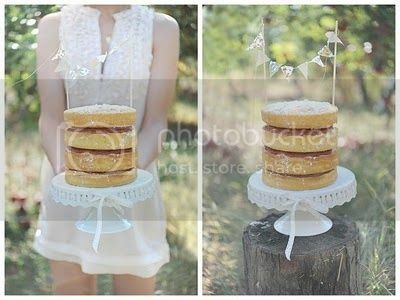 Thick sponge layers with Nutella or chocolate spread in between is yet another possibility. 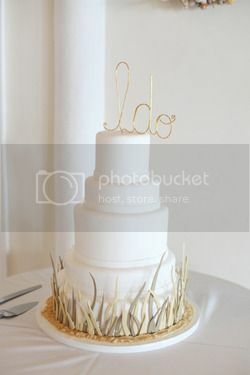 The design options are endless with cakes like these, just like regular cakes, only perhaps better! 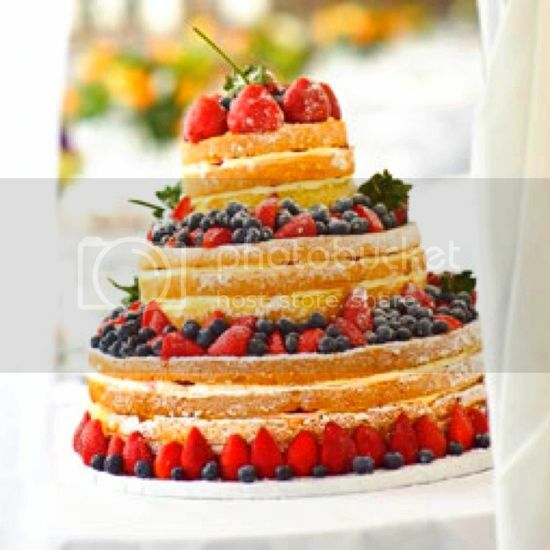 For help choosing a baker who can help you create your dream cake, other professional vendor recommendations, and other wedding and event related help, contact Essence of Events today.